Rosanna will soon intoduce 10 new holiday collections, scheduled to make their sweet little appearance on their website in September. 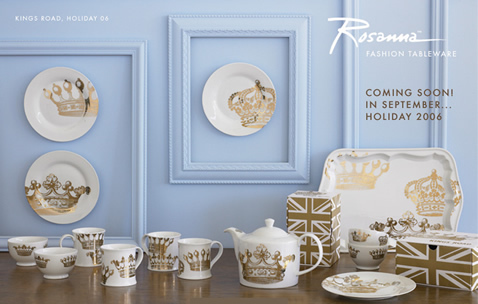 One is the Kings Road collection (British chic! ), isn't it just superb with it's regal high street charm? Imagine taking tea with these lovelies - brilliant! 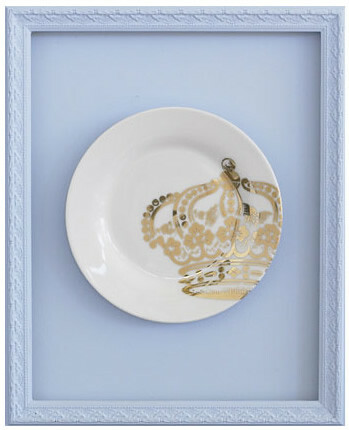 I can't wait to see all 10 collections, but for now, we have Kings Road to whet our appetite for the things to come. Psst: If you're visiting Seattle, stop by the Rosanna retail store located in University Village. Here are some directions, go nuts!